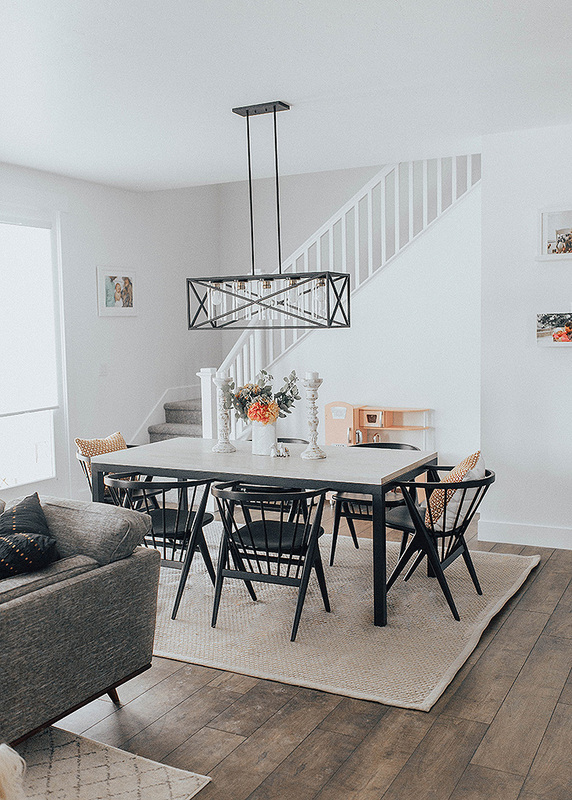 We rounded up a few of our favorite dining room collaborations from the past couple of years to help get your interior design juices flowing. Keep scrolling to be inspired! 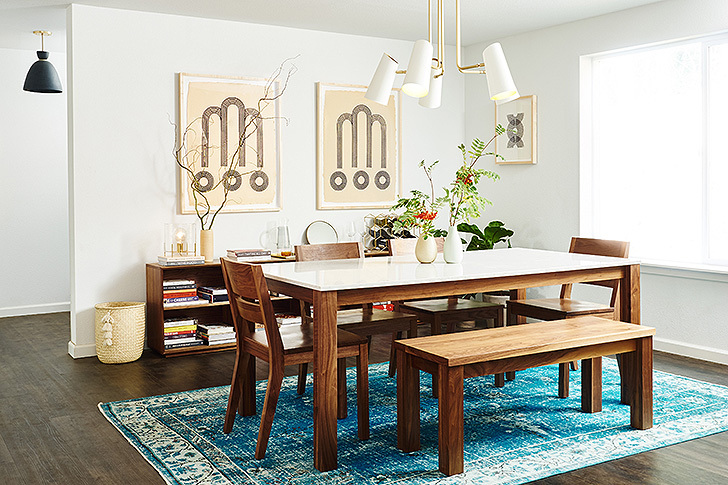 Amanda from 100 Layer Cake went with our Corbett dining table and bench, Soren dining chairs and Slim console table to create a Mediterranean-inspired dining room. Kimberly Lapides of Eat Sleep Wear worked with Anne Sage to create this super sleek dining room, utilizing our custom options. We love the mix of wood, leather and steel. 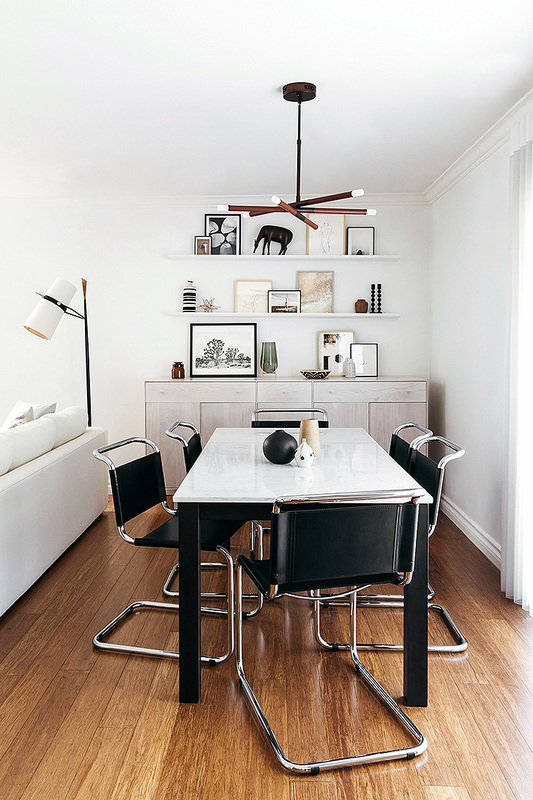 Anne Sage went with our Corbett dining table and Thatcher chairs to create a simple yet stunning dining space. 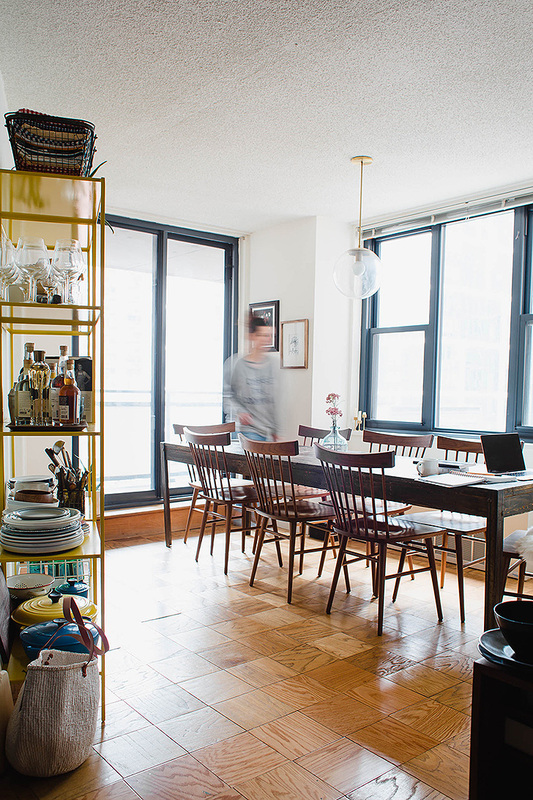 We love the rustic vibe of the Huckle & Goose headquarters and the pop of color our Slim bookcase brings to the space. 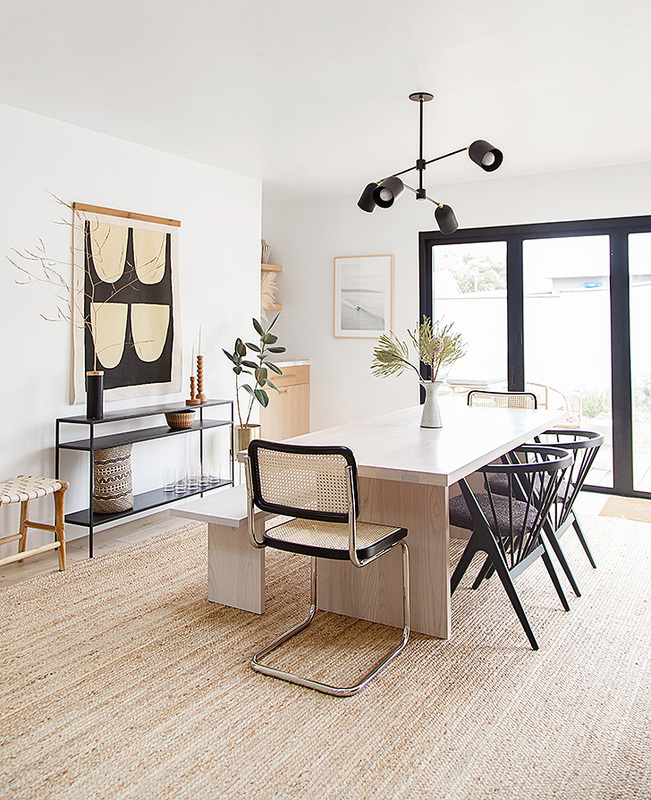 Jess combined our Parsons table and Soren chairs to create a more boho-inspired modern dining room. 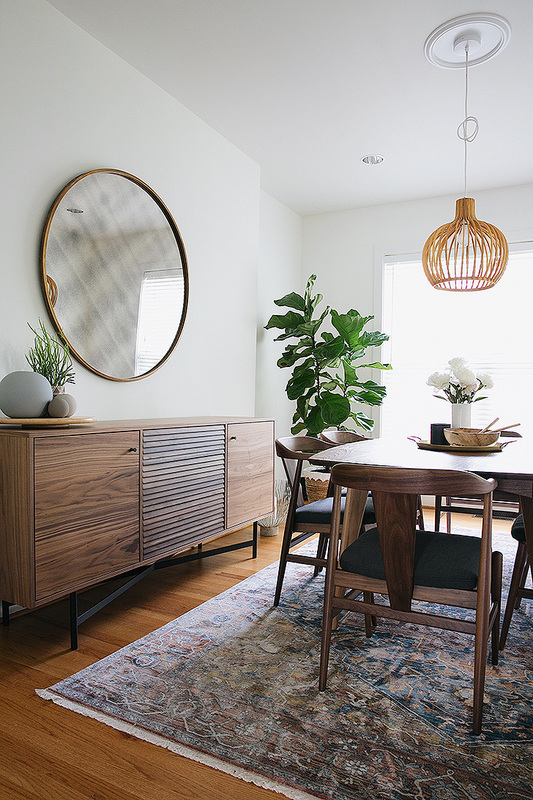 If you love walnut, you’re going to love Lisa’s dining room. It’s a true showstopper with our Adrian cabinet, Ventura table and Evan dining chairs. 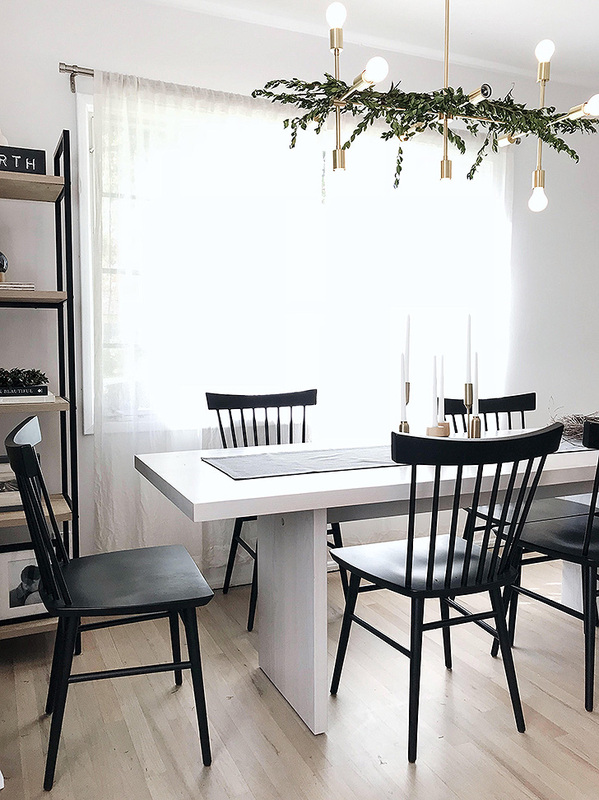 Ashley Marti of Local Haven maximized space in her dining room with our Rollins stacking cubes and the addition of a bench for extra seating. 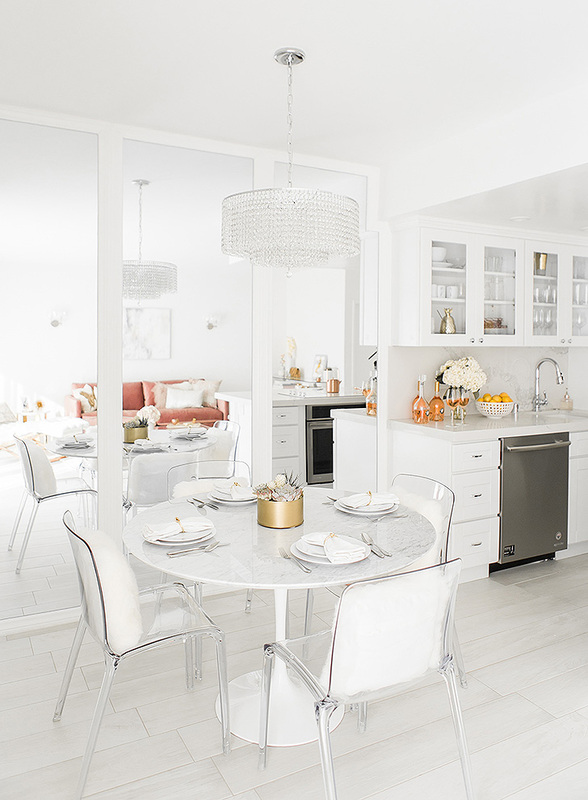 Sydne’s dining room feels ultra luxe with our marble Saarinen table and acrylic Tiffany chairs.